The Debate: Why is it so unacceptable for straight people to stand up against homophobia? I'm going to start by briefly talking about my sexuality. I am a heterosexual male. I find women attractive. My partner is female. My previous relations have been with females. When I settle down and raise a family, it will most probably be with a female. I am comfortable with my sexuality. Now, if I happened to find males attractive, physically or emotionally, then I would embrace it, as would, I'm sure, my friends and family, as they are mature and have sense and reason. But as it is, I do not. I happen to be straight. I was born this way. What is the point of the above, you may ask? 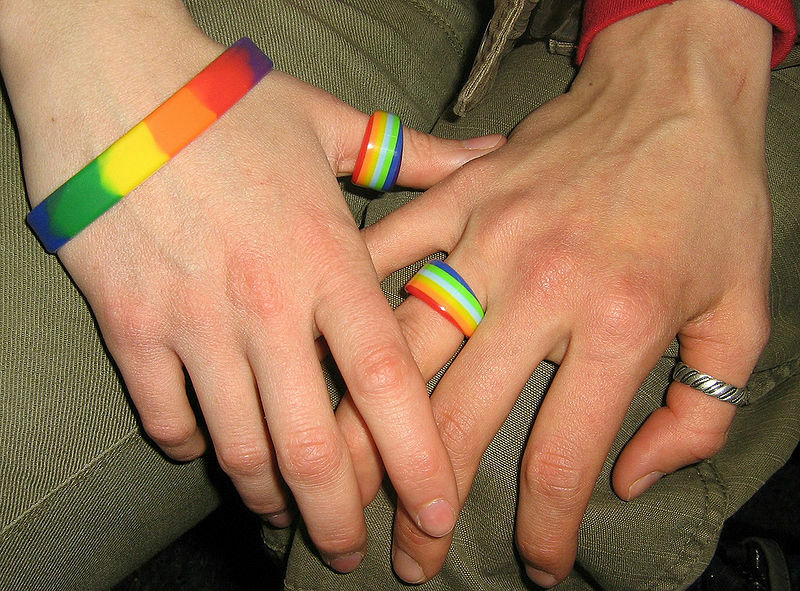 The above is the sort of statement many heterosexual people feel they have to make when they publicly claim to support gay rights, have homosexual friends, or even exhibit "gay" behaviour themselves, such as, say, enjoying music by LGBT-friendly artists, almost in a bid to justify themselves. Statements that I myself have felt that I have to make to some people, because I am strongly in favour of gay rights, and also enjoy music by Lady Gaga and the Scissor Sisters, swing dancing, and other things that may not be classified "macho". There seems to be this mindset which says that, if you're pro-LGBT, you must be gay yourself. "Oh, why else would you care otherwise?" Now, I myself don't care about being labelled so. It can get annoying if people constantly say you're something you're not, but generally it doesn't bother me. I think I know myself pretty well. However, there are many out there who feel the same way. People who are straight and believe homosexuals don't deserve the bullying, the name calling, the discriminating, the ostracising, the disowning, and even the violence they suffer on a day to day basis. But they're worried that, by actively taking a stand against LGBT discrimination, people will start questioning their sexuality and maybe they'll start experiencing ostracism and discrimination of their own. In the public zeitgeist, racism is seen as outdated, hateful and ignorant. The majority of people acknowledge this and condemn it, and when they do, nobody says "why are they speaking out against racism? They're not of that race." We need to get to a point where the exact same applies for homophobia. When South Africa declared apartheid rule in 1948, it wasn't long before the international community condemned the white minority government, and in the 1960s, imposed such sanctions as trade embargoes and exclusion from international sports tournaments, which were only lifted after the demise of apartheid in 1991. I doubt many asked why millions of white people across the world were condemning a system of law which would have benefited them were they living in South Africa. Sometimes, injustice and unfairness are plain and clear for all to see. 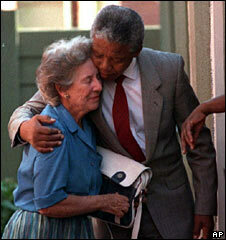 Helen Suzman, a white South African from a wealthy background, actively stood up against apartheid during her 36 years in parliament. Things are looking up. It's been a very big week for LGBT rights worldwide, with Hillary Clinton explicitly stating that gay rights are human rights, and that reform will be encouraged using foreign aid and diplomacy. The likes of Iran, Zimbabwe and all other countries where homosexuality is illegal will have plenty of food for thought. In Belgium, Elio Di Rupo became the first homosexual head of state in the EU, and the second worldwide, after Icelandic Jóhanna Sigurðardóttir. Closer to home, England Rugby World Cup winner Ben Cohen launched his foundation, StandUp, in May 2011, which raises awareness against bullying and homophobia. He has been touring the United States, where it has proved incredibly popular. This week he announced on the BBC his plans to launch a UK wing in early 2012. Ben but is aware of how prevalent bullying and homophobia is worldwide, and how it wrecks lives, and has decided to use his high profile to raise awareness of it. On the related BBC article, Ben says: "We are looking to affect the next generation. We want to create cultural change and we are doing that by using our StandUp brand to communicate that it is not cool to bully, but it is cool to stand up... we want to engage the masses, those who stand by whilst others are suffering." Crucially, Ben himself is heterosexual. He has a wife and children. So, are we going to question why Ben is investing so much time and effort combating homophobia and bullying when he himself isn't gay? Should we stand by while others are suffering and collectively say: "Why should I care? It's nothing to do with me"? Should we look suspiciously at other straight people who speak up for LGBT rights, and simply assume that "they must be gay as well"? Or, like Ben, are we going to acknowledge that many people who are gay, lesbian, bi, transgender and queer, who just want to get on with their lives, are being tormented, bullied, hurt and even killed because of their sexuality, agree that it's not right, and actively stand up and speak up against it? Joe, the reason some people question Ben Cohen is not because of his sexuality. Rather, it has to do with some questions regarding the structure of his fundraising, and some of his conduct at past events with the gay community. The first time I asked for information from one of his representatives, communication with that rep ceased. The second time I asked even for YTD metrics on the charity to vet it (as people should do before giving money to any charity) I was told I could see their 990 after their first year was over. With the StandUp Foundation, largely being an organization that gives money to other organizations, the process of determining their program ratio is key...why would I give $35 to StandUp if only $5-10 makes it to the beneficiaries? If that's the case, I'd rather donate directly to them. Other tales have come in from members of gay rugby teams that Ben has been seen as rude, distant, or disinterested at various events as well. I've found this is generally the source of people questioning Ben's motives as an advocate/ally. To reiterate: the questions/hesitations/reservations have nothing to do with him being heterosexual. It has to do with behavioral concerns and business practices that some find to be unclear or counterproductive. I will say though that there is a section of the public that does question straight allies for their motives. (Often times it manifests as people debating whether or not said ally is actually straight. Perhaps wishful thinking?) This is unfortunate, but not entirely unique. Generally I think each of us carry around a little skepticism...we see so much greed and selfishness in the world so often that a truly charitable or generous act seems to be foreign to the human condition. A sad state indeed.